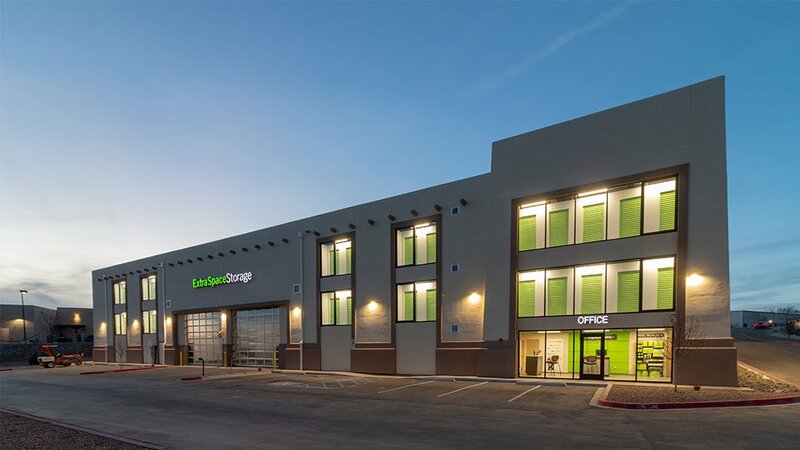 ARCO/Murray recently completed Vegas Verde Storage, a new self storage facility for Titan Development in Santa Fe, NM. The 4-story, 88,184 square-foot facility is 100% climate-controlled and has two interior covered loading docks. The site will be managed by Extra Space Storage. It is one of four projects ARCO/Murray has completed for Titan Development in New Mexico. ARCO/Murray provided complete design-build services including architectural, structural and MEP design, permitting, and construction. ARCO/Murray’s Logan Castille was the project manager and Matt Pitzen served as the project superintendent.